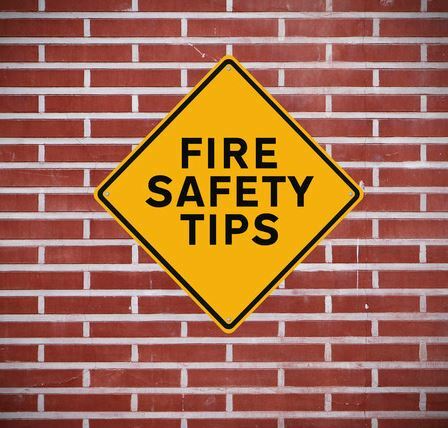 According to the National Fire Prevention Association, fire departments all across the United States responded to about 6,000 reports of fires inside of educational institutions between the years of 2007 and 2011. Those fires resulted in about 85 injuries annually as well as more than $90 million in property damage. For those reasons, it’s very important for schools to take the proper precautions as it pertains to fire safety. Take a closer look at several fire safety tips for schools below. Hold at least one fire drill every month. Every single school in the U.S. should hold at least one fire drill every month. During the fire drill, the school’s fire alarm system should sound, and students, teachers, and other faculty members should treat the drill as seriously as possible. The principal of the school should time students to see how long it takes for everyone to exit the building and speak with local fire officials about how to improve the process. Post fire escape maps in every classroom. In addition to holding monthly fire drills, schools should also post fire escape routes clearly in classrooms. There should be at least two ways for students and teachers to get out of a school. During fire drills, they should alternate between these two escape routes so that students are familiar with both of them. Educate students about the specific dangers of fires in schools. When fires break out in schools, things can get very chaotic. Often times, students will panic and pandemonium will ensure. Teachers should talk to students about how important it is to remain orderly during a fire drill. Fire officials should also visit schools to speak about fire safety as a whole. Is your school equipped with a state-of-the-art fire detection system? NYCONN Security Systems is fully capable of installing one for you. It will help make your school building significantly safer and cut down on the risks associated with a fire. Contact us today to ask any questions you might have about our fire detection systems and fire alarm solutions.